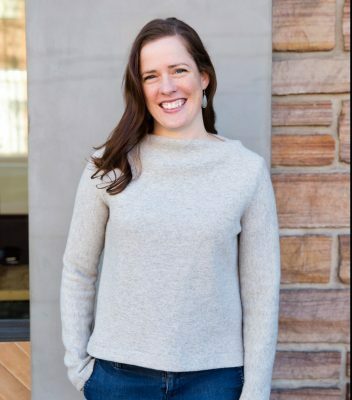 Over the past 3 1/2 years, my role here at The Confident Stitch has morphed and evolved as Kate and I try to figure out this mysterious, exciting, sometimes frustrating world of Small Business. When Kate hired me, I had just finished grad school in a field I was no longer interested in, and she gave me the opportunity to go in a completely different direction. (This despite the fact that my knowledge of sewing was scant, most of it gleaned from Project Runway!) I’ll always be grateful for that opportunity, and what was initially a somewhat scary decision turned into several years of rewarding, interesting work with creative, passionate people. After this week I will be leaving my job here at the shop to pursue other endeavors—and in my place The Confident Stitch will have a new manager, full of fresh ideas, energy, and enthusiasm! While it’s been tricky to learn the ins and outs of running a successful business, sewing has been a different story. I became utterly obsessed after starting my work here, and along the way Kate and Bonnie have been excellent teachers, full of patience and experience. I’ve learned so much more about the slow fashion movement, the joys of having a hobby that’s fun AND useful, and that quilts can be modern. 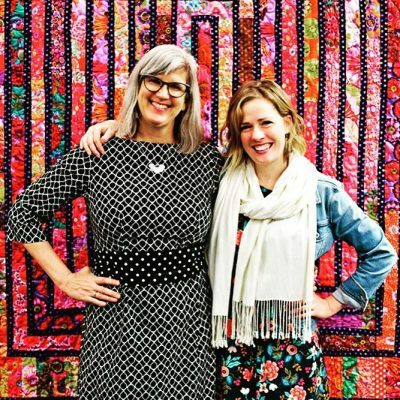 I’ve been inspired by customers who have been sewing for 5 days or 50 years, and found a sewing community here in Missoula as well as online, through blogs, Instagram, and good old fashioned YouTube tutorials. Sewing makes me feel like I have magic powers, and The Confident Stitch gives that gift to all its customers. I’m grateful and proud to have been a part of that. Thank you, wonderful customers and sewing community! And thank you, Kate! Now carry on designers…make it work! This entry was posted in Business + Education, Sewing Community and tagged staff. Very best wishes for success in your next endeavours! I will miss your great smile and enthusiasm in the posts and pics from the Confident Stitch. How wonderful that you have gained a love of sewing over the past few years in the shop. Keep us posted on your makes. Going to The Confident Stitch is always a treat for me, and you being there has been an added bonus for me! You will be missed, Jane! Best of luck in your new adventures! Jane! It was so great to meet you last summer. You will be missed at the Confident Stitch I am sure but new adventures are exciting too. Good luck with your new career move. You look great in your Toaster Sweater by the way. Cheers! Best of luck to you, I enjoyed spending time with you at Sewcialists Union.